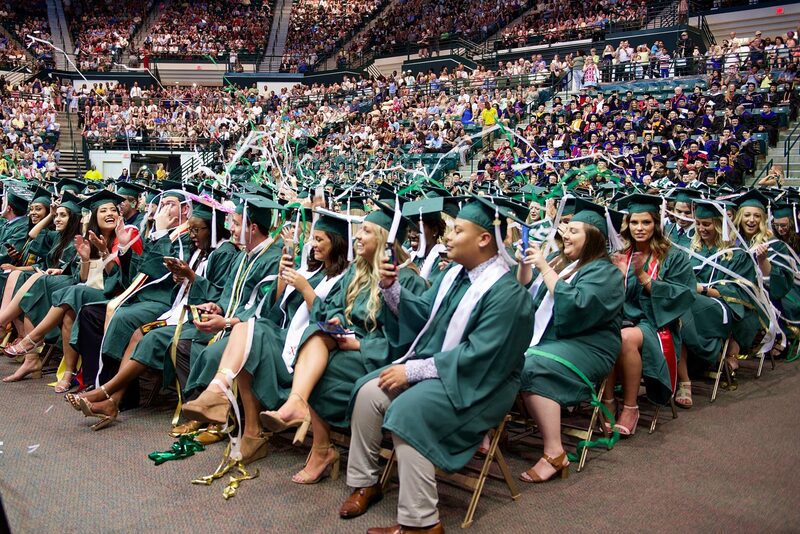 CLAS students and their family and friends – along with UNC Charlotte faculty, staff and dignitaries – celebrated the students’ successes at the May 2018 Commencement ceremonies. One special moment occurred when father and daughter Harry (Butch) and Marisa McLaughlin were awarded bachelor’s degrees in psychology. Butch McLaughlin, who previously had earned a two-year degree in criminal justice, completed his work for a bachelor’s degree after nearly 30 years of marriage, children and full-time work. Marisa McLaughlin changed majors, and she and her father opted for psychology degrees with a concentration in industrial/organizational psychology. New for Commencement 2018, doctoral students were hooded in a separate ceremony on Thursday, May 10. In addition, the UNC Charlotte Alumni Association held a series of special events on Thursday. 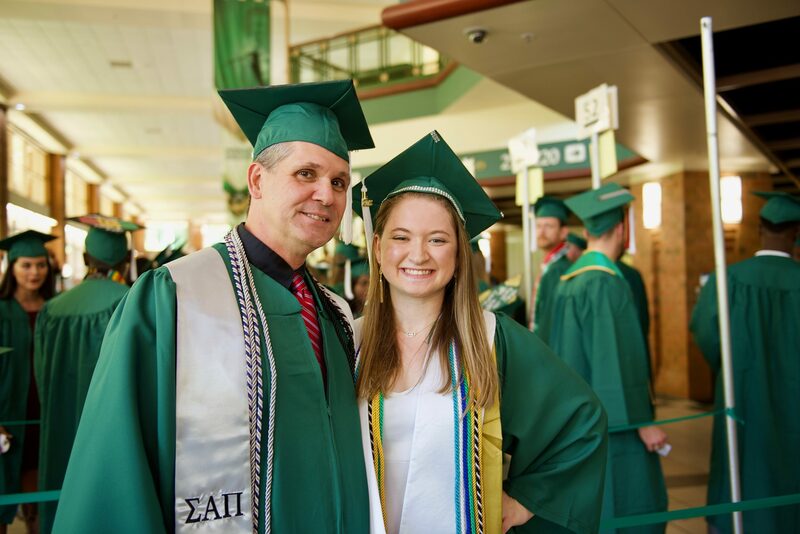 The first-ever Legacy Draping Ceremony was conducted with students from across the university who had at least one parent, stepparent or grandparent that graduated from UNC Charlotte. According to Alumni Association officials, future graduating legacies will have an opportunity to attend this new tradition each semester prior to Commencement. The Alumni Affairs Office, the Black Alumni Chapter and the Multicultural Resource Center cosponsored a “Donning of the Kente” event. James Mitchell, a member of the Charlotte City Council, was the featured speaker. Seventy-five students participated; they received handmade Kente clothes that represented their African heritage and achievements. Many of the students received their majors and/or minors in CLAS. See more CLAS commencement photos on the college’s Facebook site or the college’s flickr site.